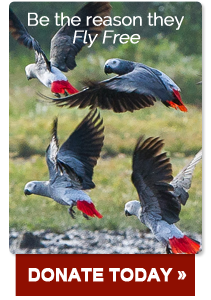 FlyFree is a programme designed to rescue, rehabilitate and release the parrots caught in the wild-bird trade. By supporting FlyFree, people like you have helped with the rescue of thousands of parrots from the trade. But the work is not done -- the parrots need your help.